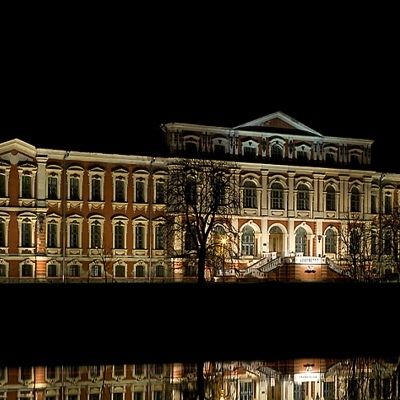 The most important Baroque palace in Latvia. 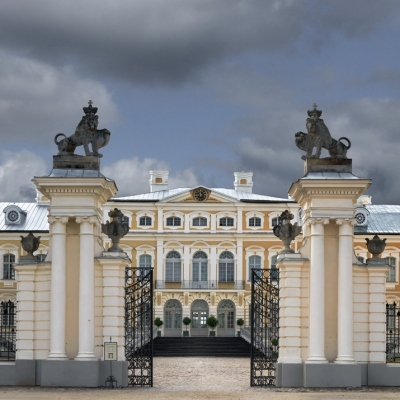 Its architect Francesco Bartolomeo Rastrelli also designed the Winter Palace in Saint Petersburg and other notable buildings within the territory of the Russian Empire. 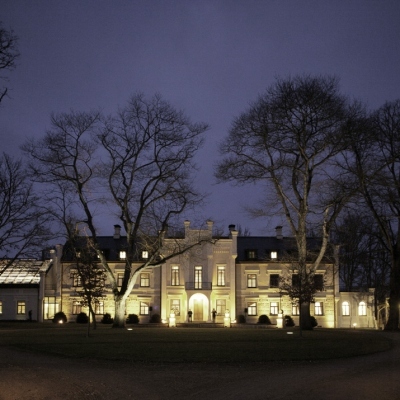 Rundale Palace’s historical interiors have been restored and its halls are adorned by outstanding exhibitions. 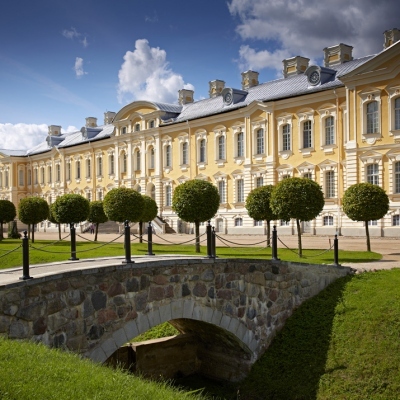 The palace’s ensemble of edifices is comprised of 16 buildings spread across grounds spanning 72 ha. 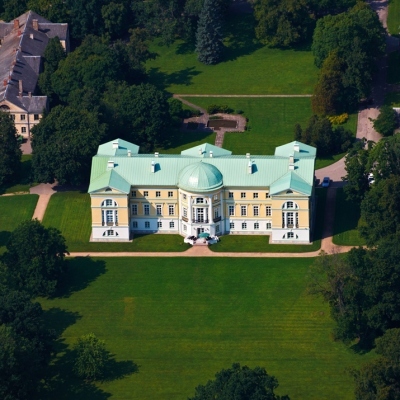 Historically, the palace served as the summer residence and hunting palace of the Duke of Courland Ernst Johann von Biron – favourite of the Empress of Russia Anna Ioannovna. 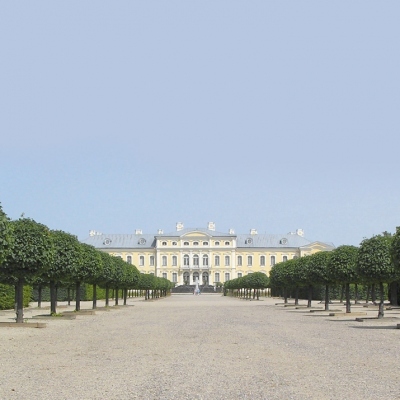 The 72 hectare grounds of the palace ensemble includes the palace complete with a coach yard and stable complex, baroque garden, park, fruit garden, household buildings, canals and pond, as well as a driveway. 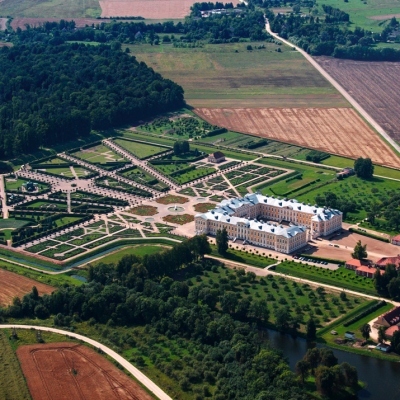 Rundale Palace Park is one of Europe’s few remaining historical baroque gardens to have retained its original historical plan without significant changes right through to the start of its restoration in 1975. Of particular note are the 10 ha French Garden and the 2 ha Rose Garden, where 2,400 different varieties of roses grow. Another masterpiece by Francesco Bartolomeo Rastrelli. Destroyed during the Second World War, it was subsequently restored to its former glory during the Soviet-era. 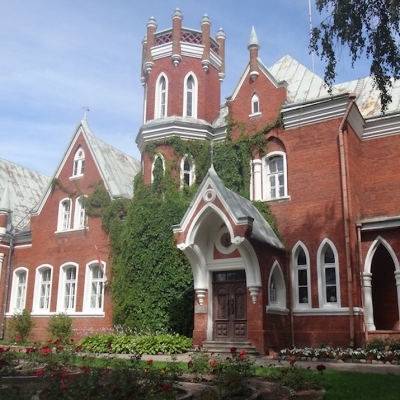 The place is home to the Latvian University of Agriculture. 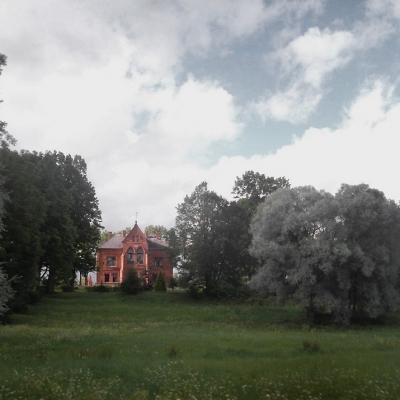 A neo-gothic style manor house built in 1870. Neo-gothic style. Built in 1886. This classical-style edifice was built from 1797 to 1802 and designed by architect Giacomo Quarenghi. 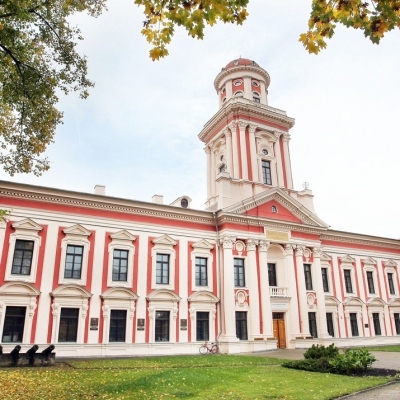 This pristine example of Late Baroque/Early Classicism style was built from 1773 to 1776 to a design by architect Severīns Jensens.